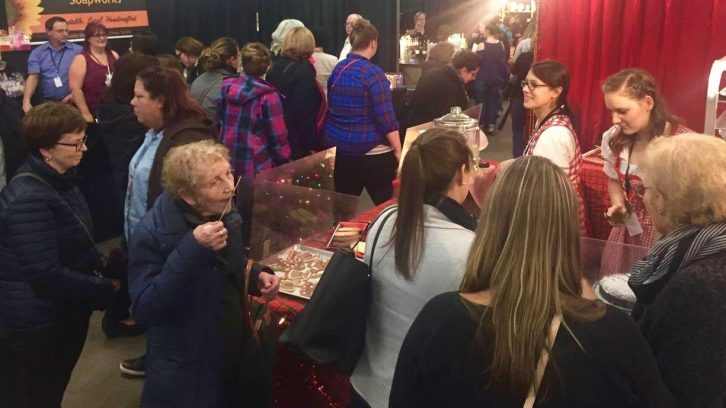 After 39 years, vendors from across Nova Scotia still consider Christmas at the Forum a worthwhile part of their holiday season. This year the event was held from Friday to Sunday. Vendors from across the region filled three buildings with crafts, antiques, art and food. Vendor Dealy Knickle, owner of Now Digital, said this was his second year at the event and he plans on coming back. Now Digital transfers film, slides and tapes into a digital format. A standard booth averages around $500. Knickle said this is relatively inexpensive compared to other shows in the area that have less customer traffic. This makes the price of a table worth it for many vendors, like Brenda Bailey, who uses Christmas at the Forum to grow her business. 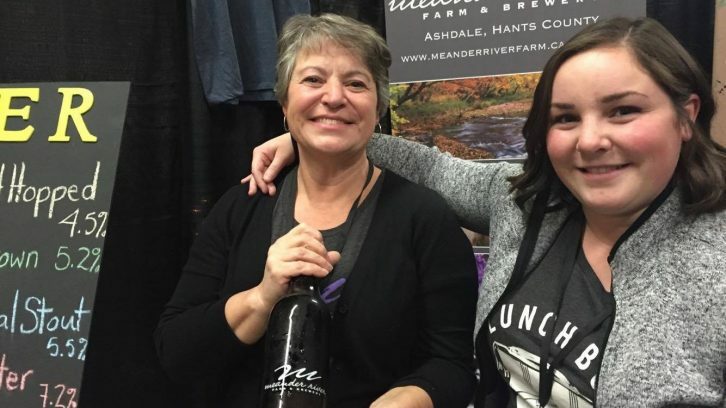 Bailey is the owner of Meander River Farm and Brewery, a company that creates flavoured beers and ciders. Bailey said she does the bulk of her business at Saturday morning farmers’ markets, but Christmas at the Forum offers a more diverse clientele. Chris Banks, owner and director of the event, said the event is at capacity this year with 225 exhibitors. He said Christmas at the Forum is the largest and longest-running Christmas craft show in eastern Canada. Last year it attracted almost 25,000 customers. Banks’ aunt even had a spot at the event. Lottie’s Acadian Seafood Chowder has been selling food at Christmas at the Forum for eight years. “A lot of customers say they just come for the seafood chowder,” said Yvonne Banks, Lottie’s sister. Christmas at the Forum costs $8.50 for adults and $7.50 for seniors for an entire weekend.